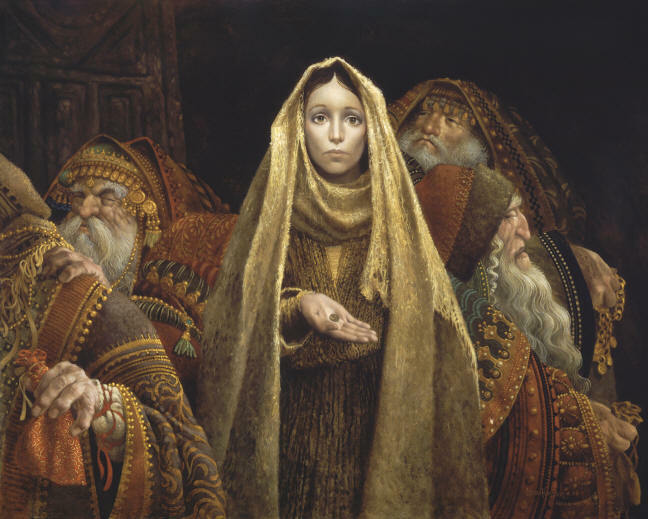 The parable of the Widow's Mite is not a story of money, but of piety. 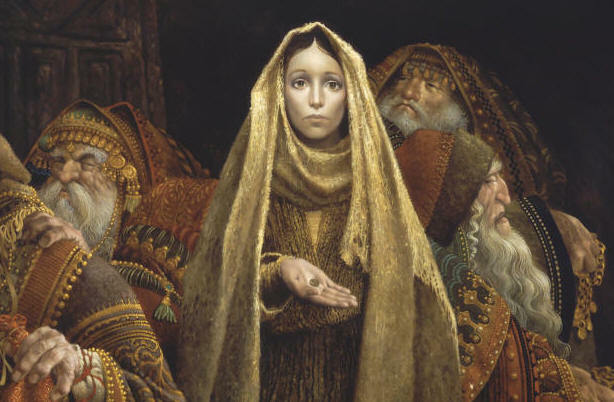 "It's about what we are willing to give of ourselves," said artist James Christensen of his best known painting. Christensen's "The Widow's Mite" uses striking light and dark to symbolize spiritual and worldly power. The poor widow, who gave all she had, glows with an inner light. Even her ragged clothing is luminescent. By contrast, the rich men in their expensive robes fade into the shadows behind this woman's radiance. An element that made this work so unique was Christensen's choice to depict the widow as a young woman. It was the custom of the time for a widow to marry one of her husband's brothers or return to her own family. If neither of these occurred, a woman had few options for supporting herself or her family. If a young woman remained alone, she would likely be impoverished. Michelangelo also influenced this choice. Upon completion of his work the "Pieta", a sculpture of the crucified Jesus laying upon his mother's lap, Michelangelo was criticized for his depiction of Mary. 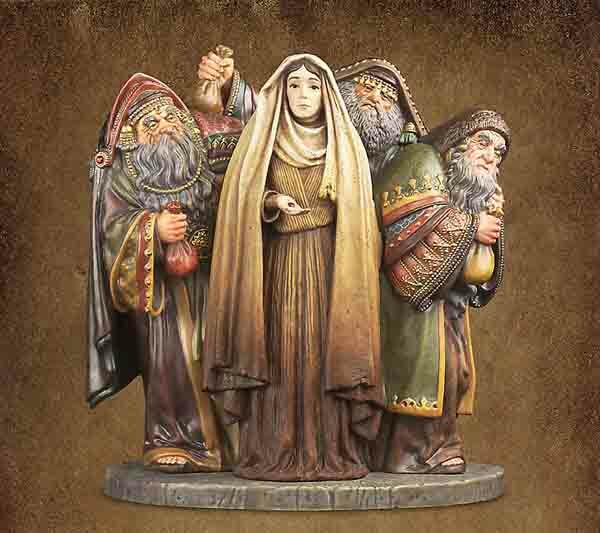 Though she was Christ's mother, and therefore older, she appears younger than her son. His response was that virtue and goodness keep one beautiful. Christensen was intrigued by the idea that her righteousness could be revealed by her youth. And he looked up, and saw the rich men casting their gifts into the treasury.